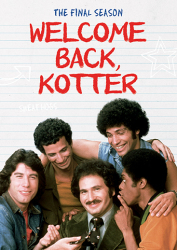 Garrett's girls are back! 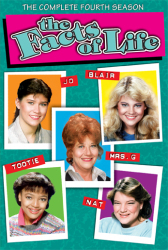 Join Blair, Natalie, Tootie, Jo, and Mrs. G for 24 Fact-astic episodes of laughs and life lessons in The Facts of Life: Season Seven. 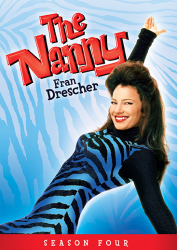 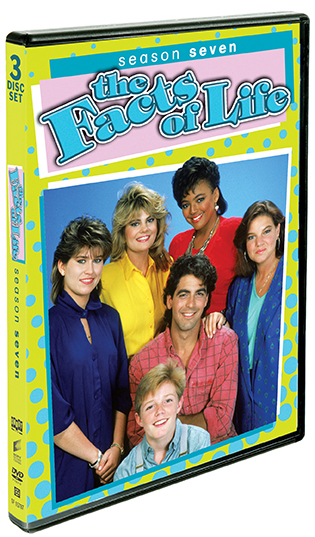 Every Facts fan knows that big changes are always in store for our heroines, but Season Seven knocks the girls for a loop when they return home from summer vacation and find that Edna's Edibles has been destroyed in a fire! 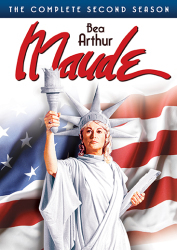 Employing the services of hunky contractor George Burnett (Academy Award® winner* George Clooney in an early role), they set out on a bold new business model, and from the ashes of Edna's Edibles rises the gift shop, Over Our Heads! 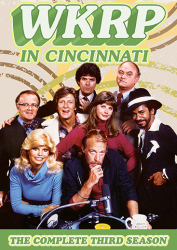 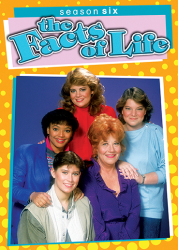 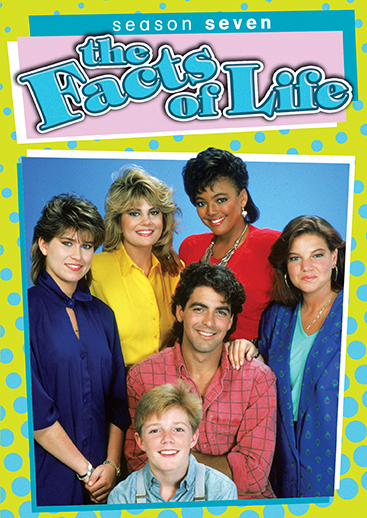 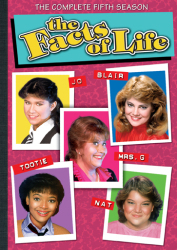 Featuring Charlotte Rae, Lisa Whelchel, Mindy Cohn, Kim Fields and Nancy McKeon, The Facts of Life: Season Seven delivers all the heart and hilarity fans have come to expect from a sitcom classic that became a cultural touchstone for any young adult of the eighties.